The Anisfield-Wolf Memorial Award is one of the awards presented annually by The Center for Community Solutions. The award and its $25,000 prize are given to a nonprofit community organization for outstanding service; the award fund is held by the Cleveland Foundation. The 2019 Awards event will be held during the Celebration of Human Services on Friday, October 25, at the Hilton Garden Inn-Downtown. Nominations will be accepted May 6-June 28, 2019. What organizations may be nominated? May organizations which were nominated in the past be nominated again? Yes. Organizations that have won the award should wait 10 years before being nominated again. What should an organization have accomplished in order to be nominated? The organization should have performed “outstanding service” for the community. The “service” may have been a program, or it may have been a single, specific activity. It may be “outstanding” because of quality or quantity; because it was new, original, or innovative; or for any other reason the nominator deems significant. It must reflect performance that goes beyond the organization’s normal and expected activity. The award is not for excellence in performing routine tasks aimed at fulfilling the organization’s basic mission. A substantial portion of the outstanding service being recognized must have been performed during calendar year 2018. What makes a good nomination for this award? 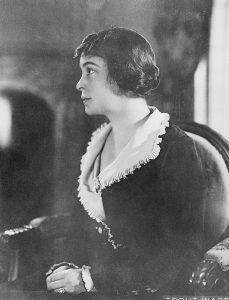 Edith Anisfield Wolf (1889-1963) dedicated her life to philanthropy and literature. A published poet fluent in several languages, she was one of the first women on the board of the Cleveland Public Library. She established the Anisfield-Wolf Book Awards in 1935 to honor literature that furthered the cause of “race relations” (as she later wrote in her will), deepened our understanding of racism and enhanced our appreciation of the rich diversity of human cultures. She was especially concerned about human welfare and literary arts, leaving her books to the library and her home on East Blvd. to the Cleveland Welfare Society. She also directed that her money be used for this community service award. An especially suitable nomination would reflect Edith Anisfield Wolf’s abiding attention to the voices of people at the margins, and her urgency in building a more just community. What should be included in the nomination statement (narrative, not a form)? Describes briefly, and specifically, what outstanding service or services the organization performed in 2018. It describes when the program was established, how the service is accomplished, who provides the service (i.e., staff, volunteers), who is directly and indirectly affected by the service, how success of the program is measured, and how it affects the community in both the short and long term. If the program involves community partners, the statement should identify and describe the role of the partners. Explains why the services were outstanding and how they make a significant difference in the community. Is only one or two 8.5×11 pages in length, no smaller than 11 point font. Is NOT a boiler-plate funding/grant proposal. Please do not send reports, DVDs, etc. Completed nomination forms with their nomination statements may be mailed to The Center for Community Solutions (1501 Euclid Ave., Suite 310, Cleveland, OH 44115) or emailed as attachments to info@CommunitySolutions.com. Please include the Subject Line: AW Nomination.